The world’s largest retailer delivered strong third-quarter results Nov. 15, extending sales growth into its 11th straight quarter that was helped by services such as online grocery pickup. It also raised profit expectations for the year heading into the holiday shopping season. Like other retailers, Walmart is benefiting from a strong job market and rising consumer confidence. But retailers also are benefiting from the misfortunes of others. Toys R Us and Bon-Ton Stores have gone out of business, while the Sears bankruptcy is creating more opportunities to grab sales. J.C. Penney, still floundering, on Nov. 15 withdrew profit guidance and lowered its sales expectations for the year. Walmart posted strong sales across a wide range of products from toys and back-to-school items to fresh food. That helped sales at stores open at least a year rise 3.4%, a bit slower from the previous quarter’s 4.5% at Walmart’s U.S. division, which marked its best performance in more than a decade. The measure, an indicator of a retailer’s health, was helped by a 1.2% increase in customer traffic and a 2.2% increase in transactions. 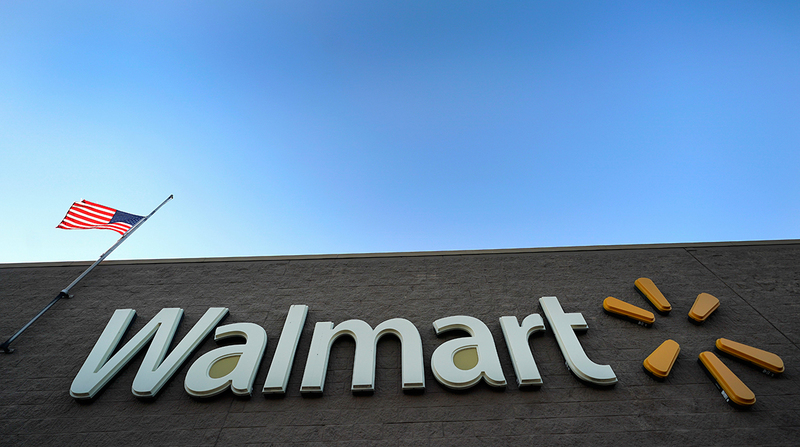 Since buying Jet.com two years ago, Walmart has been expanding online by acquiring brands and adding thousands of items. It also has been ramping up grocery delivery and pickup options. Grocery pickup is offered at nearly 2,100 of its 4,700 U.S. stores, and grocery delivery is available in nearly 600 locations. Walmart also has revamped its website with a focus on fashion and home furnishings. That all helped to drive a 43% increase in online sales in the United States during the latest quarter. That was up from a 40% increase in the second quarter and a 33% increase in the first quarter. Walmart, which is based in Bentonville, Ark., is promising more to come. Under Foran, Walmart is creating a tech-powered shopping experience while transforming its stores into efficient distribution hubs that can fill online orders to reduce shipping costs and speed up deliveries. To do that, Walmart is doing more extensive training for workers who are taking on new roles or redefined responsibilities while using scanning robots and other automation. Walmart is deploying giant pickup towers that spit out online orders in hundreds of its stores. Customers also can find items in the store more easily because of digital maps on their smartphone. Workers, armed with new apps on their mobile devices, also are able to manage routine tasks, freeing them to serve the customer or check them out in key areas of the store. “We can provide a much better customer experience because we are in stock of the right item, at the right time and at the same time it is going to help us be much more precise,” Foran added. Still, he acknowledged the company is facing stiffer competition from Amazon as well as other traditional chains such as Target. Consulting firm Bain & Co. predicts that Amazon in the United States will outgrow the market and capture up to half of all e-commerce sales by the end of the year. In fact, in the free-shipping arena, Foran told AP said that Walmart is reviewing its policy that has a $35 threshold for free shipping for the holidays after Target and Amazon ditched minimum orders for free holiday shipping. Amazon also is expanding its cashier-less physical stores, pushing Walmart and others to speed up checkout, a source of frustration for many shoppers. In time for the holidays, Walmart has rolled out a program that allows its staff to check out customers and provide receipts on the spot in the busiest sections of the store. Foran told AP it is taking another look at offering Scan & Go. That service allowed shoppers to scan items while they shop with their own personal device or a Walmart device and walk out. But it had been shelved twice after customers found it too clunky. Walmart Inc. said it now expects full-year earnings of $4.75 to $4.85 per share.